TSAC (Troop Support Action Committee) of Pinecam has recently begun supporting a new unit in Afghanistan!! What ever might work for a snack or meal on the go that would keep. located in front on King Soopers in Conifer (west of the front door, by the propane exchange). but we want to get items off to these brave people ASAP. That is BGR on the left and RailBuf on the right. 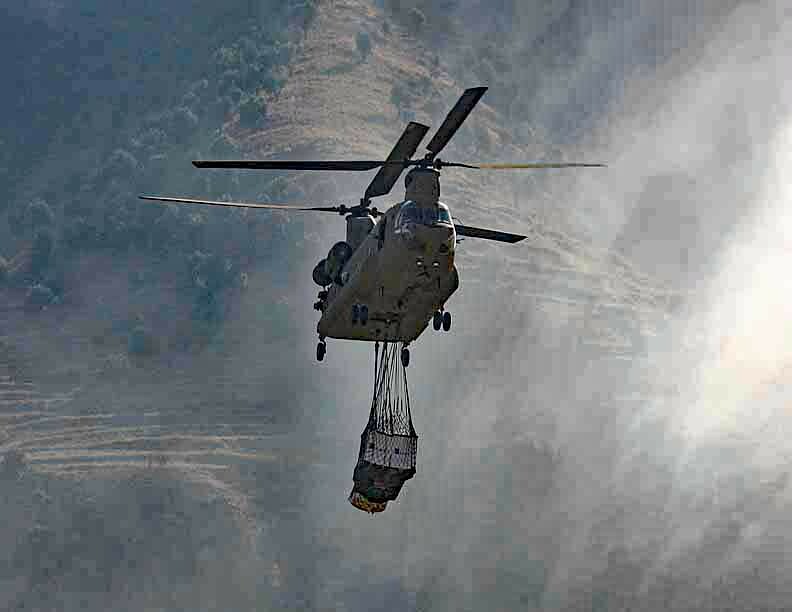 Here is a photo from the "Way Back Time Machine" (actually 2011) when TSAC first supported this same Chinook helicopter unit. This will be the THIRD deployment for our contact in Afghanistan - and they DO NOT go to Starbucks! TSAC hopes to provide snack and comfort items to these Army Aviators in a combat location you should pray you will never see! Please consider offering a prayer for these guys when you can! Its humbling and gratifying to assist in the support of our brave service personal. Thank you to all of TSAC for being the conduit to the front. How long will these Troop Support boxes be at King Soopers? The troop support box lives there full time. We check it a couple of times each week. Thank you! Good to know. I plan to donate a few nonperishable items on Monday. When and how often do you ship these boxes? And are they monitored for thieves? I hope so! Please check your PMs so we can meet. box at King Soopers!! The troops will be grateful and we appreciate your effort. Remember, you can drop items anytime in the Troop Support box. I just got TWO emails from Afghanistan TODAY! The 12 boxes TSAC recently sent came through and here are two reactions from the recipients! My point of contact is also named Mike! - Oh wow, they didn’t f¥€& around with the good stuff. - This is for us? Really? - WoooHoooo we have coffee. I sent 5 of the boxes to our out station were we directly support some special ops units. They get everything by us delivering it so I am sure it was well received. The remaining boxes I separated out between the Apache, MedEvac and Chinook Crews. All very big smiles and feeling that people still stand behind us in this war most of the country has forgotten about. This will keep us living high on the hog for a while. Thank you again. This is from one of the Special Ops groups mentioned above. Her name is Emily and some of her information is redacted by me for security of the units. My name is Emily and I'm serving with the 101st Combat Aviation Brigade in Northern Afghanistan. 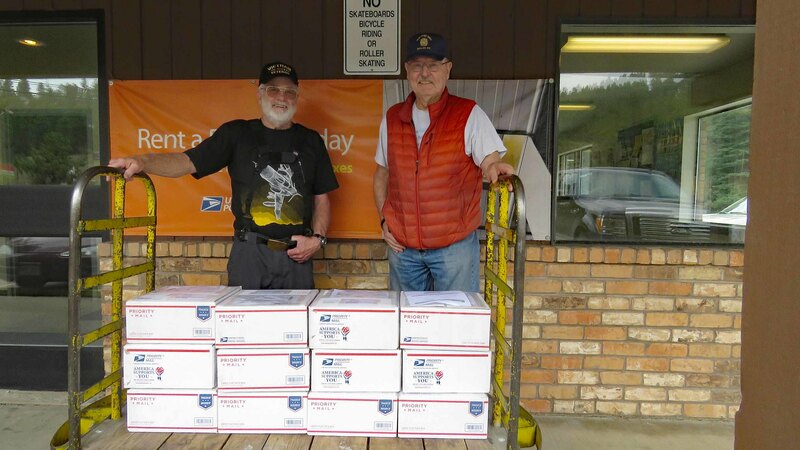 I just wanted to send this email to thank you for your kindness in sending the many care packages to my unit up here. We are so thankful for your support and prayers as we serve our country. Being away is not easy but the support from everyone back home makes each day a little bit easier. So again, I just want to say thank you from the bottom of my heart. Our (TSAC) hearts are smiling to get this kind of response from those working in worlds of great danger! Please remember that TSAC is only a "conduit" for YOUR generosity - and we are PROUD to be able to do that work! We will be packing and shipping more boxes soon. YOU are invited to leave goods in the TSAC collection box west of the main entrance to Aspen Park King Soopers (next to the Blue Rhino propane bottles). If you have more than you care to leave there, please PM me and we can arrange to pick up from your convenient location. GOD bless you and OUR TROOPS! My heart is full knowing small things placed into loving hands can make a huge difference to the moral of our patriots in harms way. 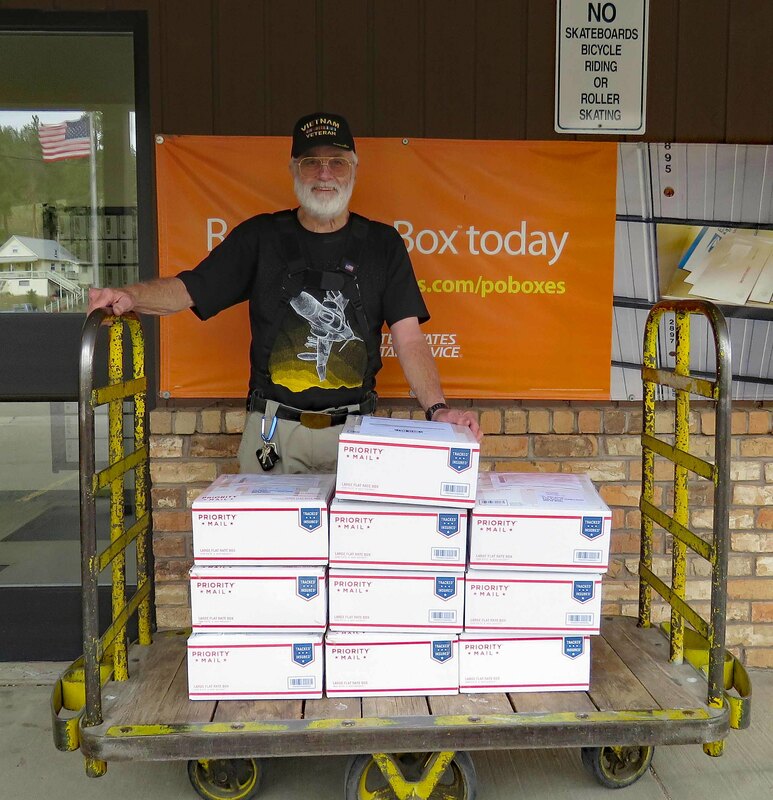 TSAC got another TEN boxes into the Bailey Post Office TODAY! Out currently supported unit was "blown away" by the last shipment. Wait until they see what is in these boxes! Coffee creamer and a lot of sugar substitute sweeteners. Bags of BEEF jerky (sorry - no pork goes there). You TSAC supporters really came alive with tuna snack packs! Lots of powdered drink mix including boxes of powder tubes and tubs in various flavors. Peanut and other nut butter in plastic tubs. LOTS of "energy" (all kinds of nutritious flavors) bars suitable for carrying out on missions in BDU pockets. A lot of microwave popcorn (mostly Costco - the best and least expensive) very highly prized! A number of ramen packets to fill in any vacant air space in the Flat Rate boxes. THANK YOU to all of you who have contributed items and ca$h to make huge smiles a long way away from home! TSAC is simply a "conduit" for your generosity and caring. We are proud to represent our incredible community! Please feel free to put items in the TSAC box at King Soopers just west of the Blue Rhino propane bottles. If you would like to hand off larger loads to us directly, please feel free to PM or call me at 303-838-seven four one one to arrange a meet. Very nice. Well done job by all the TSAC team and those who help support this great cause with donations. Gotta love the replies when they get this stuff. Popcorn is on my list for the next Costco run.